The legendary feud is the culmination of what historians say ' the contest of titans'. With the apparent roots of this clash starting from Sepang 2015, both the Europeans have involved themselves into the embroilment of emotions. 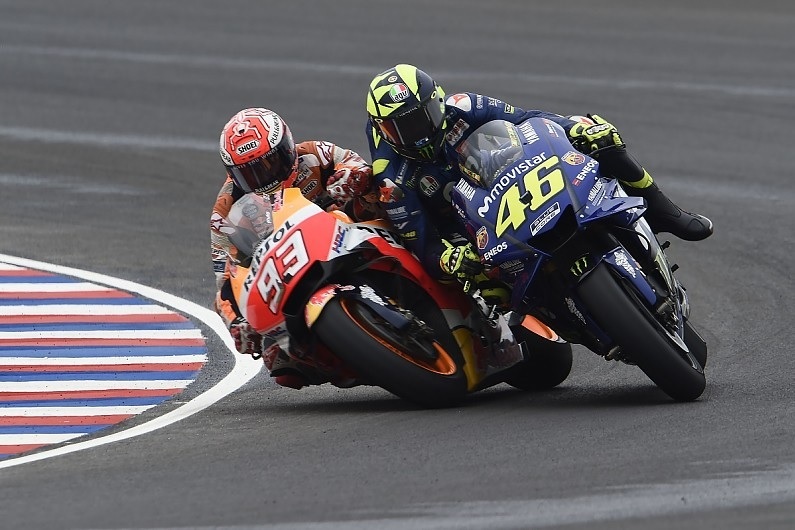 Nine time MotoGP Grand Prix champion Valentino Rossi accused Spanish Marc Marquez of 'thinking like a child' and plotting against him to help his compatriot Jorge Lorenzo win. Marquez defended himself by saying that he is just competing like all the riders. Came the final grand Prix and all hell broke loose when Rossi lost to Lorenzo while bashing Marquez for being ' the body guard'. What goes around comes around. Justin Timberlake said it again and again with gorgeous Scarlett Johansen by his side. It did but Rossi was again at the receiving end. With the motorcycling community divided en mass, the question is not about their rivalry but the legacy that has brimmed great moments at great profits. It is similar to all other sports that always gain monumental fanfare with staggering moments that also have dark undertones. Like the Borg-McEnroe rivalry. It well documented on how much they both hated the guts of each other. If you missed the classic tapes, you can surely watch 'Borg vs McEnroe. The idea that comes to the fore is the basic involvement of all the present forces of sporting nature. Simple and steady, if both Rossi and Marquez will fight out in the next motogp, it will create sparks of excitements and anticipation. The journalists will have a field day while the social media in explode into madness. And amidst everything, the true winner will always be – MotoGP. What's your opinion on this Tell Us Here? log on to www.motopsychcle.com and check out our scribbles, motorcycle videos, motorcycle forums and gabs! Check out some of the cool motorbike accessories as well? Till we meet again, Ride safe & responsibly, be aware of the surroundings and always wear protective gear. Visit us stay tuned for more. Ignite your motopsychcle.